For the month of February we will be focusing on the virtue of respect. Respect is displayed in a variety of ways and ties in with a lot of other virtues. We will be promoting respect of self, respect of others, and respect of our environments. At the end of the month we will be participating in Pink Shirt Day – a day devoted to stoping bullying. This event gives us an opportunity to speak with students on how being respectful allows for us to build friendships. Your child(ren) re-registration package was sent home last Friday, January 29th. Re-registration will be held one day only, THURSDAY, FEBRUARY 18TH, 8:00am – 7:00pm in the school library. Please ensure that all forms have been completed and that all cheques are included. If you are registering a child for Kindergarten, please have “photo copies” of all required documents (ie: birth cert., baptismal cert & immunization record). Packages that have missing documentation(s) will not be accepted. There is a $25.00 late fee if your package is not handed in on the 18th of February. 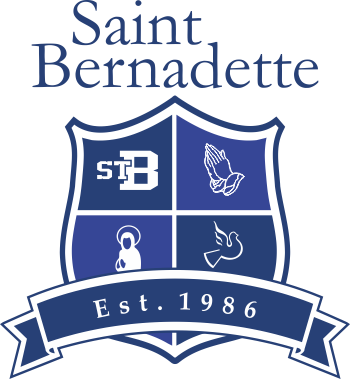 The St. Bernadette BC SPCA Club would like to annouce our 8th annual HEART FOR ANIMALS APPRECIATION DAY to be held on Friday, February 12th this is a non-uniform day, therefore, students are to wear red/& or white apparel. We will be collecting a minimun donation of $2.00 with all proceeds going to the BCSPCA Guardian Angel Programme. This year we are sponsoring Lexus the dog, Lilly the cat & Kitty the small dog. Yes, there will be prizes which will be announced to the lucky winners on HEART FOR ANIMALS APPRECIATION DAY- Friday, February 12th. The St. Bernadette BCSPCA Club appreciates your support and we hope that you will enjoy CONTEST WEEK and our special appreciation day for our animal friends. We would like to invite your family to join this year’s Vancouver Sun Run on Sunday, April 17, 2016. It is our intent to make this day a family event. You can run, jog, or walk the 10K course. We need 20 people (students, parents and teachers) to participate so we can enter the Dairyland Youth Team Challenge. Participants will receive a t-shirt with our school team name printed on the shirts. Early Bird Rate is $23.10 for youth under 18 and $36.75 for adults. Registration deadline for this rate is February 11th. Training for the run will begin on Tuesday, February 9th at 3:15pm (is this time okay). A full training schedule will be sent out to participants. To register please complete the registration form and waiver being handed out to students on Thursday and return it to the school with your cash or cheque no later than February 9th. Please contact Angela Lew at dna1595@gmail.com if you have any questions. Please be reminded that if your child(ren) are in a before or after-school activity, siblings may not remain unattended at school. They must either be put into the Stingers Activity Club or be supervised by a responsible adult. Please note that we cannot be responsible for unsupervised children. For more information on the Stingers Club please contact Sheila Vader at stingersclub@stbernadette.ca.